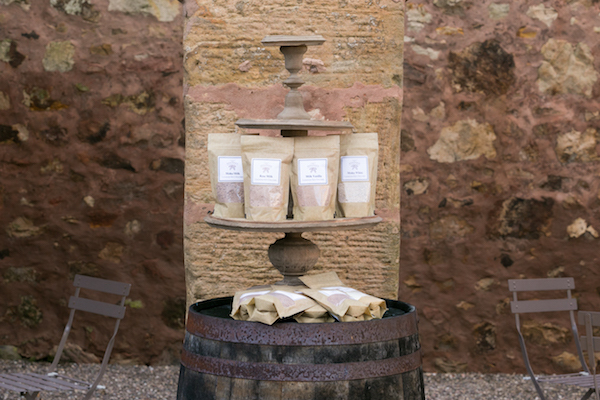 In November, we were delighted to be part of a photo shoot with Fife’s new and utterly idyllic wedding venue The Cow Shed, found just outside Crail, in the East Neuk. Located in Priory Court, just off Marygate, the Priory Gatehouse is one of the oldest buildings in the East Neuk of Fife. Dating back to the fifteenth century, this delightful A-listed structure is the only surviving Scottish Augustinian gatehouse. The local ‘Friends of the Gatehouse’ group are aiming to raise funds to save this iconic local building. Their ambitions are to, first and foremost, make the building wind and water tight, whilst conserving the ancient stonework. Further work will see the interior refitted, plus information boards and a disabled parking space outside. The idea is that the Gatehouse will then be able to generate sufficient income to pay for its own long-term up-keep, as an art exhibition space, performance venue, club/society meeting room, or even for wedding receptions. And, most importantly, do spread the word – the more support (particularly written) that the group have, the greater the chance of funding. It’s half term and what better way to keep the kids entertained than a special treasure trail, here in Pittenweem itself? In the Cocoa Tree we sell the absolutely brilliant Treasure Trail maps, with options for Pittenweem. The ‘top secret’ packs – like the Spy Theme – contain all you need for an hour and a half of fun in and around the village, solving clues, looking out for symbols, and discovering a bit more about our village that you didn’t already know. The kids – and, let’s face it, you – will have a great time piecing together the puzzle to reach the end of the trail. When you’re done, you’ll certainly be ready for a chocolate milkshake, or a nice cup of coffee and some cake at the Cocoa Tree Café. Come along, we’re open till 6pm every day.